This simple extension makes several things: 1. 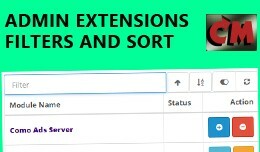 Makes list of extension types in admin panel easier to view and select. 2. Makes list of modules to be displayed by default. 3. 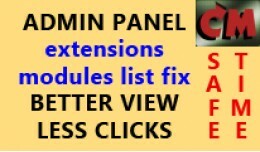 Adds status column in module list (for Opencart up to version 3.0, ..
Admin extensions page improvements, show modules.. This extension adds controls for filtering and sorting to the tables in extensions page (modules, shipping methods, payment methods etc.) and in modifications page in admin panel. The goal is to improve the productivity of site administrator.. 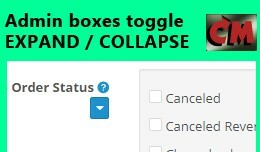 This extension adds button to expand/collapse height next to all boxes with check boxes or lists in text areas. 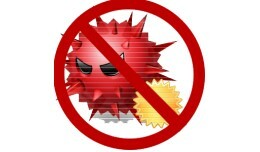 Some affected places are: Store settings - Processing/complete Order Status Store settings - Allowed File Extensions/Mime Types ..
We Don't Report Abuse - WE STOP IT!!! 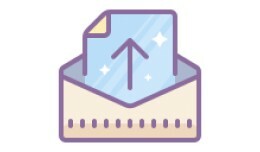 What is BotBanishClient: BotBanishClient is an application that will monitor bad BOT/Users that are possibly attempting to do harm to your system by performing brute force attacks in an attempt to cre..
Get The Best Value in Professional Email Marketing using Unlimited Emails for Only $29/Month! Get Started Now! Email marketing server is very different from the normal outgoing mail servers associated to email providers. Email marketing serv..
A modul működéséről és telepítéséről videó itt: https://youtu.be/dugnFOaBrgU A modul telepítése után lehetőség nyílilk előre megírt "gyors" üzenetket használni a rendelés történethez. 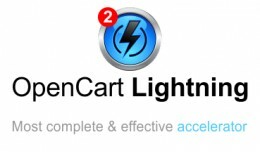 Előre definiált helyőrzők is..
Rendelés nézet előre megírt "gyors"..
OpenCart Lightning is the most complete and progressive solution to make you shop as fast as possible. 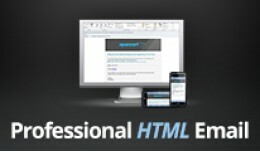 It includes all the techniques that are required to reach the outstanding result - from top to bottom: get the highest possible speed a..
Be sure to check out the Advanced - Professional HTML Email Template extension with a lots of extra features & much easier to make changes, all from your admin area. 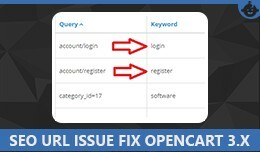 Convert your plain Opencart emails into a customizable Professional HTML Ema..
Main Features Show tab with Frequently Asked Questions(FAQs) about your products and save time answering repeat questions. Let your customers easily Ask a Question about a product without leaving that page. 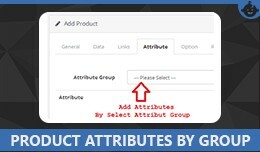 Admin Module lets you: List a.. The complete solution to emailing customers after they've placed an order (we have another extension for customer pre sales). 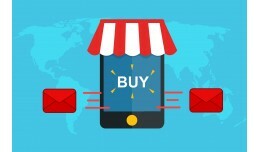 Automatically send payment reminders (e.g setup extension to send an email if the order status is still pending afte..
Order Follow-Up Email. Inc request review and mo.. This extension requires your customers to validate their email address. After registering it sends an email with a verification link that customers must click before they are allowed to log in. 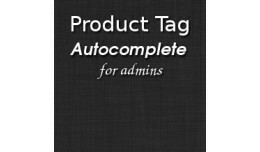 You can still manually approve customers from admin.. 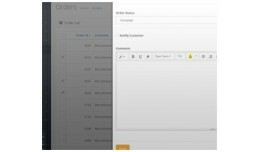 This extension will save you time updating orders with the same order status and will auto-populated the comment message with shortcodes to give that personal touch. 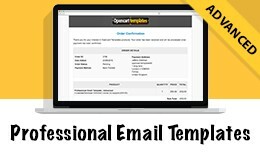 Works very well with email template extension that handles parsing the shor.. This extension display product options and quantity field in product list after add to cart button is clicked. So if a product has required option(s), there's no need to redirect to the product page. 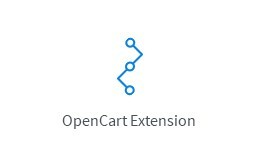 The extension will work in all product list..
A complete solution for creating your own professional Open Cart emails on your store. Manage everything from how your emails look, easily changing the content and even how your email is sent. Committed Open Cart developer maintaining and up..